Serving Salt Lake City, Window Tinting Salt Lake City personalizes your home or business offices with the finest window tinting products available on the market. Now you can enjoy the view of your surrounding environments while protecting your office or home from things like glare or climate. Professionally installed by our expert team, our stylish residential and commercial window tints stop 99% of harmful UV rays, over using energy, temperate fluctuations, and reduction from irritating glare. You can work, play, and relax in total comfort, even in the harshest of weather condition. Plus, our window tint adds an extra level of safety and security against break-ins, vandalism and storm damage while complementing the unique aesthetics of your building and protecting your furniture from fading! In Salt Lake City, we see snow and sunshine so Window Tint Salt Lake City can help keep your home or offices prepared for any season! Give your home the gift that will pay for itself within three years. 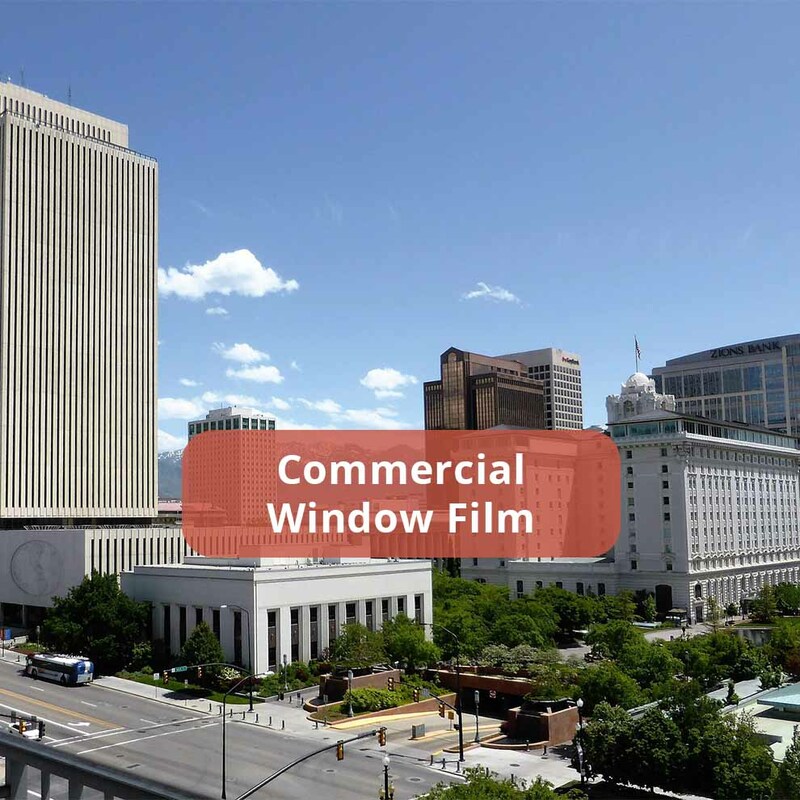 Call Window Tint Salt Lake City in Salt Lake City today for your free commercial or residential window film estimate-– we will save you money! Climate control window tint acts as an extra level of insulation for your home or business. 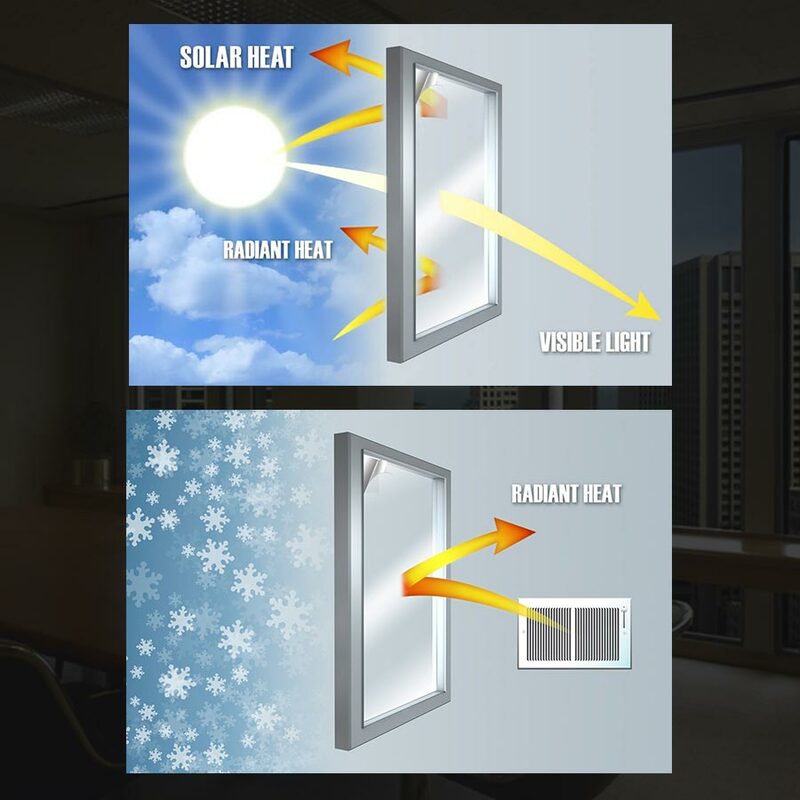 It utilizes low-e technology to control the amount of heat that enters your windows, blocking out excess solar heat during the summer and trapping radiant heat during the winter. Ultraviolet light is a type of light that makes up the electromagnetic spectrum. The majority of ultraviolet rays are absorbed by Earth’s atmosphere, but some of it is still able to penetrate these layers of gas and clouds and reach the surface. Many people think they’re at risk to uv exposure only if they’re outdoors, but this is far from true. Humans can come into contact with ultraviolet radiation inside as well since it has the ability to enter through windows. 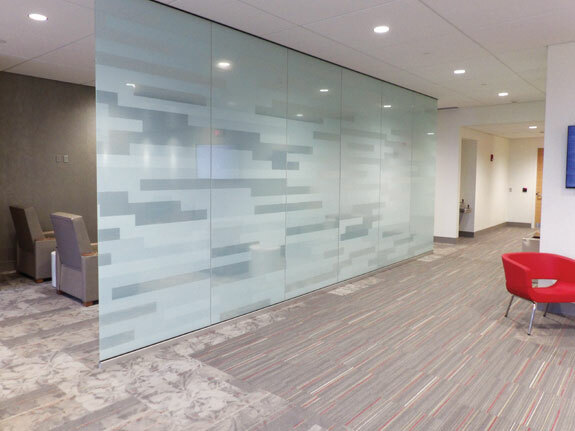 Decorative window film adds sophisticated style and privacy to residential and commercial spaces. It can be used for business branding, front door logos, private conference rooms and more. 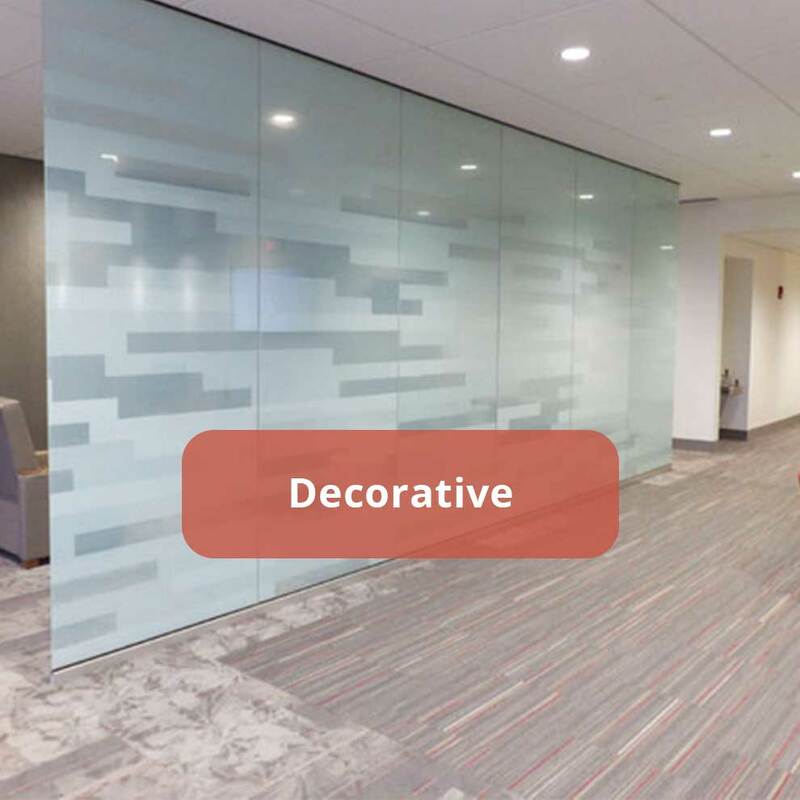 Decorative film adds color to your walls and windows and is available in a wide ranges of styles such as frosted, textured, privacy, and more. Never worry again about the safety of your home or office by installing a security window system. 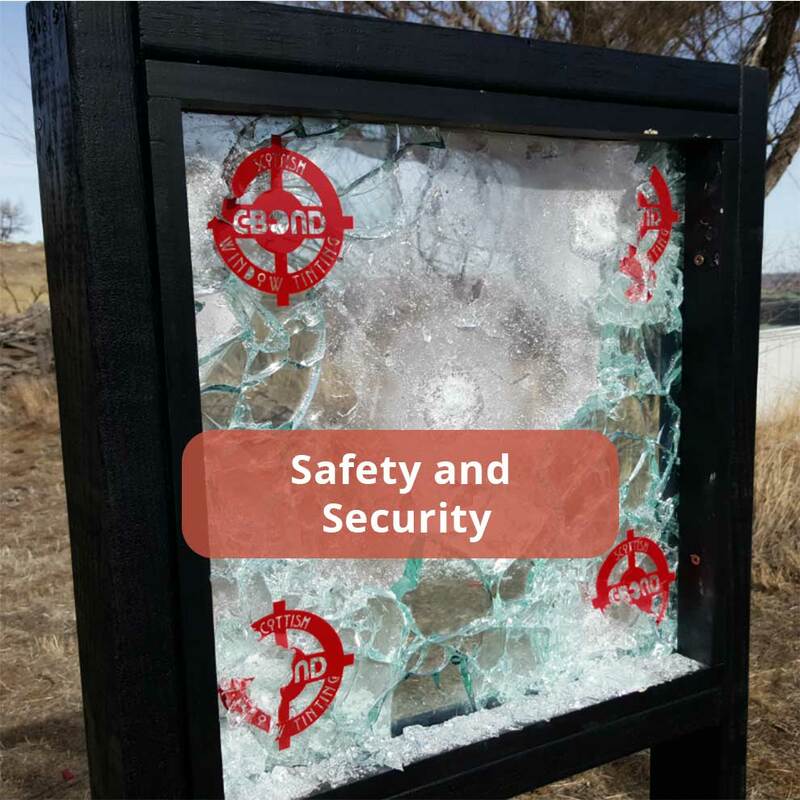 If your windows are struck with a harsh blow or impact, safety and security film will hold the broken glass in place. 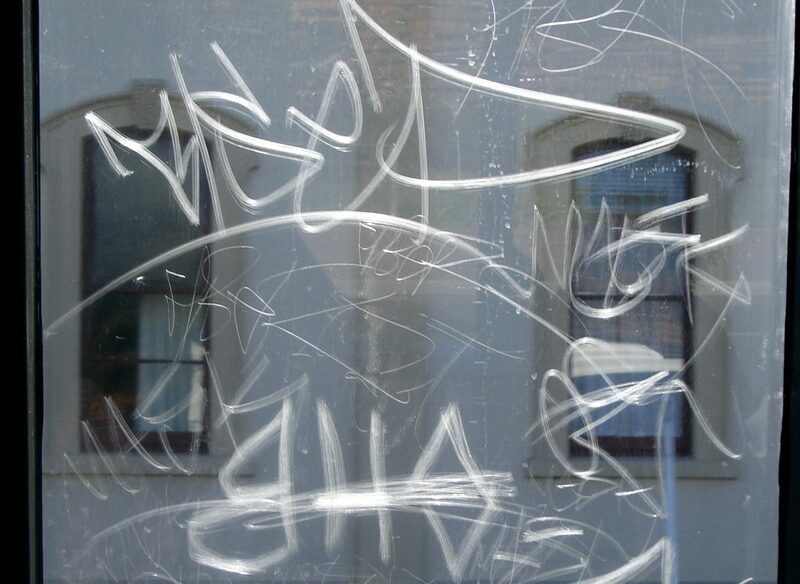 Security film offers defense against break-ins, natural disasters, graffiti, and a whole range of other threats. Salt Lake Window Tinting offers custom decorative window tint for buildings of all types and sizes. Decorative window tint offers Salt Lake City home and business owners an easy and affordable way to improve the aesthetics of their building. It’s one of the most sophisticated and versatile architectural solutions out there. It can be used for privacy, branding, or style and looks great in nearly every setting. Keep your home or office looking new and vibrant with fading prevention window tint. Salt Lake City experiences over 220 sunny days a year on average. 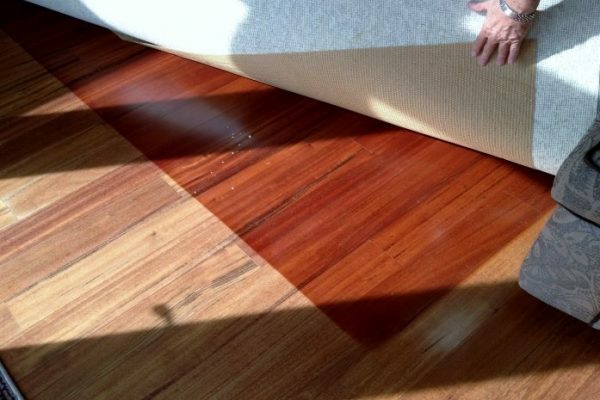 While all this sunlight looks and feels good, it’s also full of ultraviolet radiation that can cause serious damage to your furniture, flooring, and artwork. Fading prevention window film blocks out 99.9% of uv radiation, providing your home or business with solar protection year round. 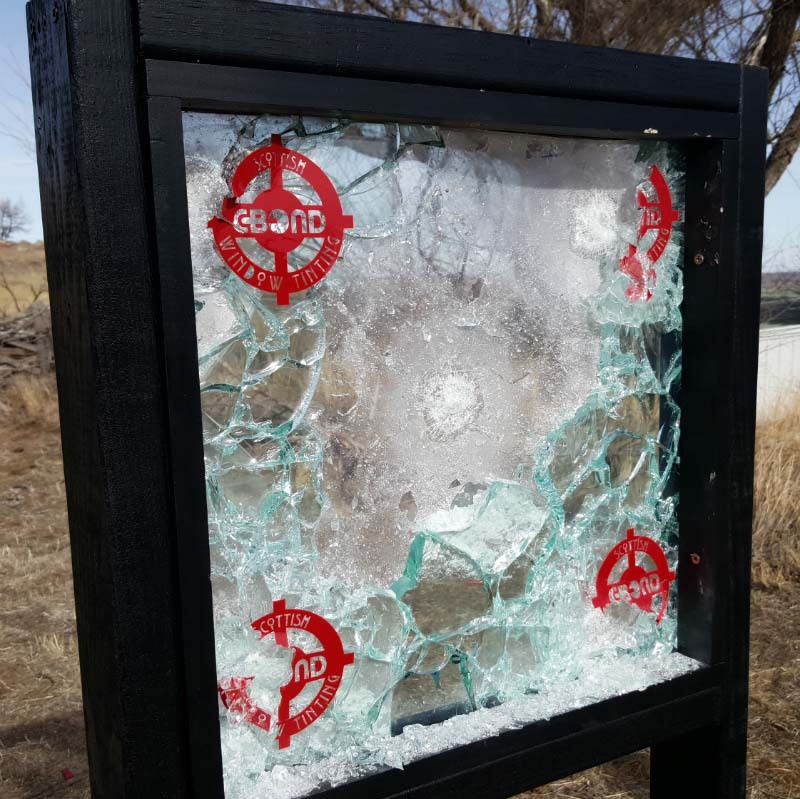 For those with concerns about EMF radiation, RF blocking window tint may offer a solution. At Salt Lake Window Tinting, we carry a wide variety of window films that have RF blocking capabilities. We partner with industry leading manufacturer Eastman to supply home and business owners with the highest quality window film possible. Certain films that we carry have an RF shielding effectiveness of up to 98%. These films may pose a solution to individuals with EMR sensitivity and families concerned with the health risks associated with radiation. 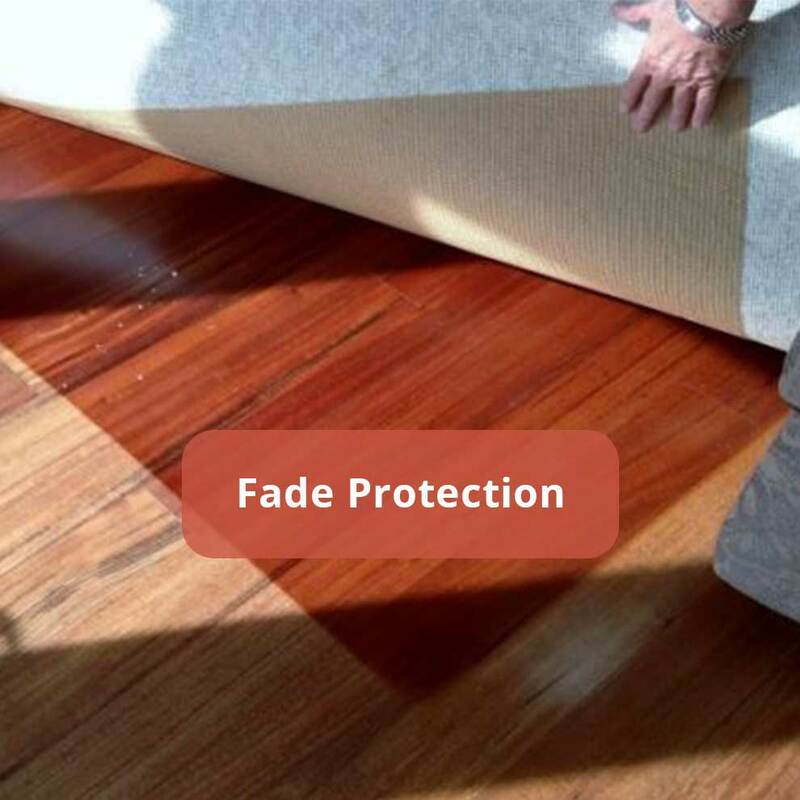 Daylight redirecting film is designed to extend the reach of the sun deeper into building interiors. It’s made of micro-structured prisms that optimally redirect 80% of incoming sunlight. After being installed in the uppermost portion of your window, it shifts the direction of natural light up towards the ceiling where it works to disperse it evenly throughout the building. Daylight redirecting film is so effective that it extends the reach of the sun by an incredible 40 ft increase. 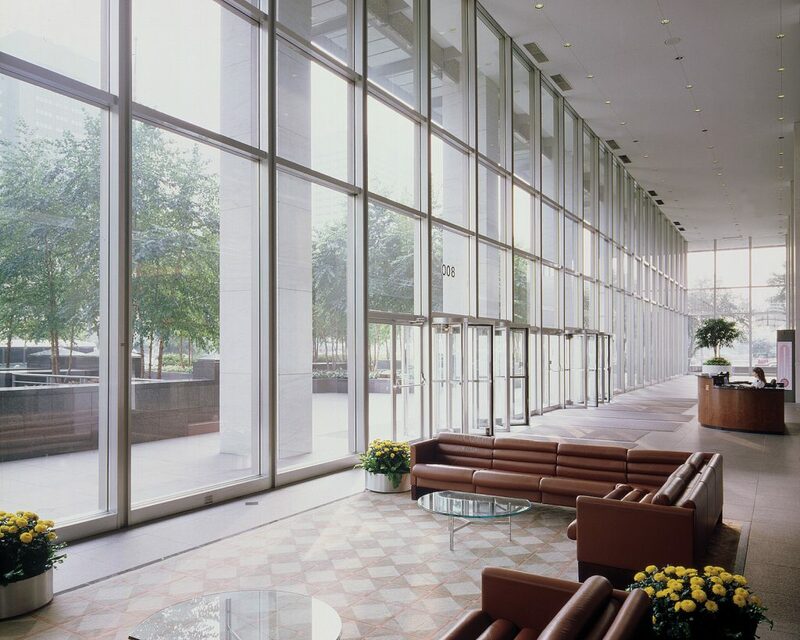 Window tint provides a solution for controlling heat and glare in your building. 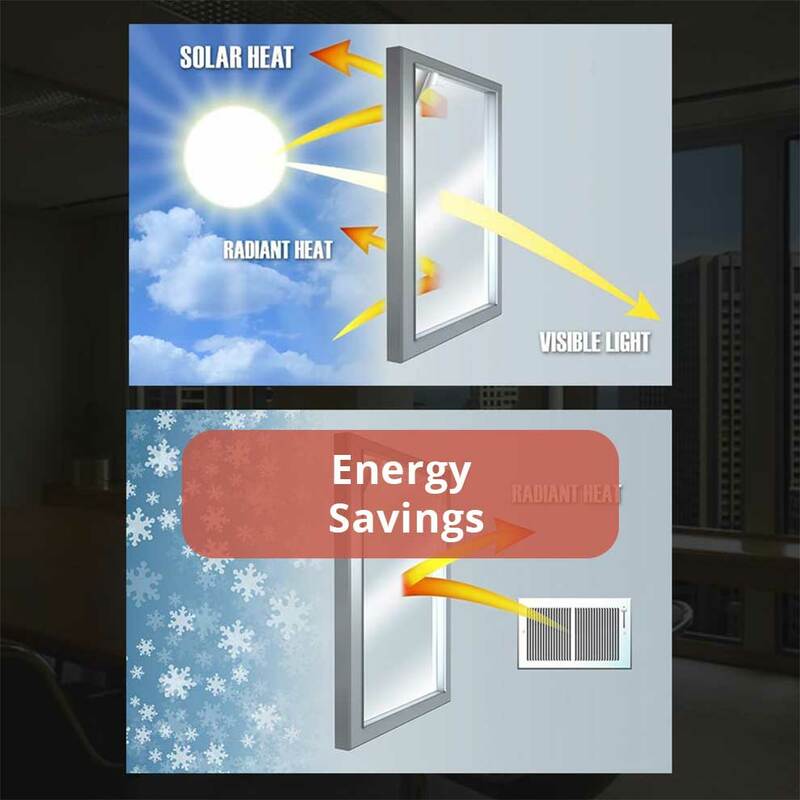 Energy saving window film works to control energy costs and improve occupant comfort year round. And it also provides an easy way to eliminate harsh glare on tv screens and computers. Protect your loved ones, save money on energy costs, and more with window tint for your Salt Lake City home. Window tint allows homeowners to take control of their living situation by adding privacy, safety, style, and comfort to their living space. We offer a wide range of residential window tinting products that can help you with all your home and architectural needs. 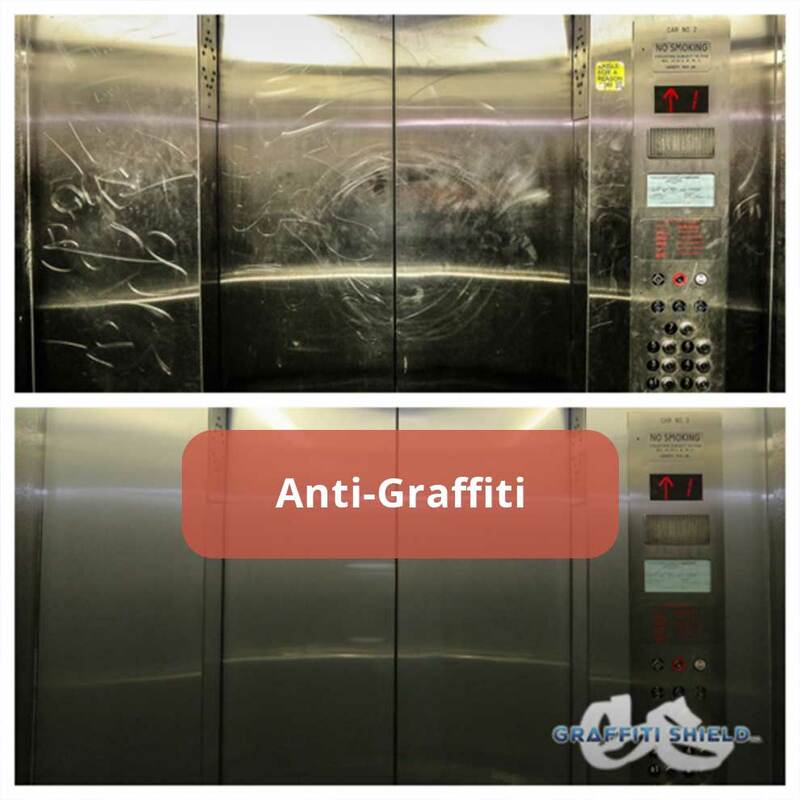 Just contact our office to speak with a window film expert. 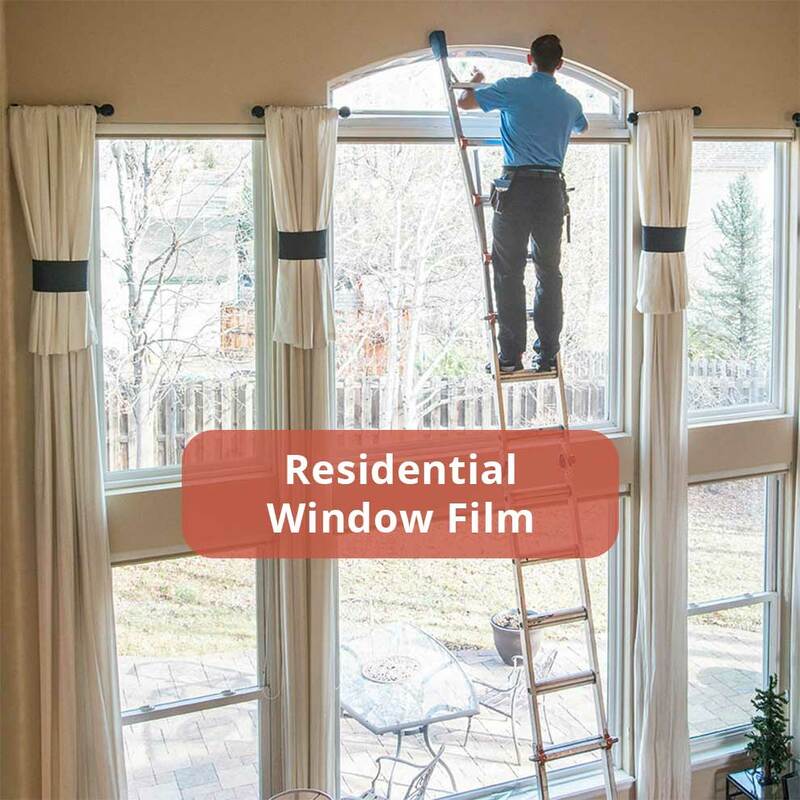 We’re confident that our staff can find the perfect film for your home. Since 2008, Salt Lake Window Tinting has been providing Salt Lake City and the surrounding with professional window tinting services. We offer window film of the highest quality from industry leading manufacturers like 3M, Vista, Llumar, and more. Our team of experienced technicians can handle commercial and residential projects of all types and sizes. Window tint is a revolutionary product that dramatically enhances the design and performance of building structures. 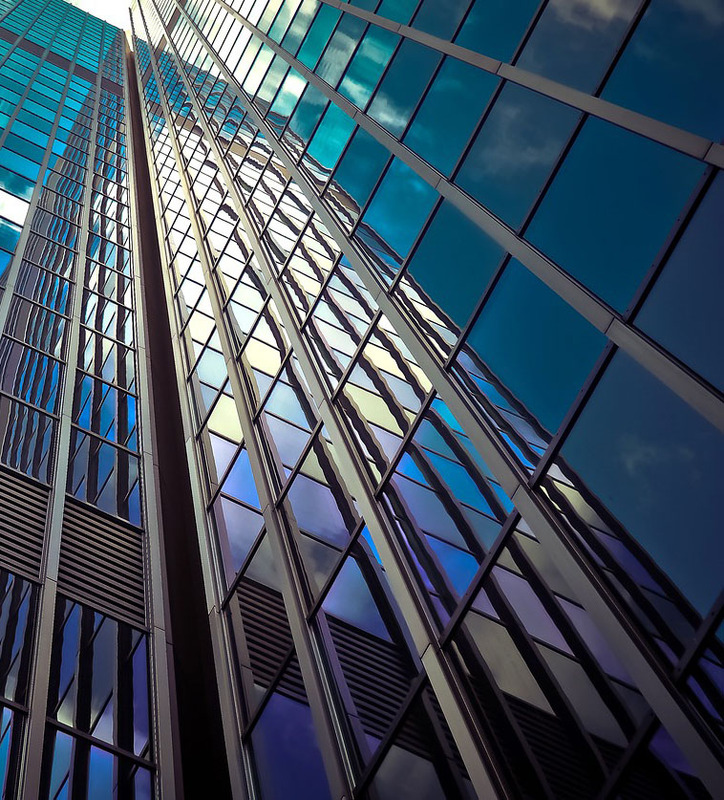 Window film offers a way to protect the things and people you care about, save money on energy costs, and improve the aesthetics of your work or living space. Reliable, low-maintenance, and easy to afford, window film is a smart choice for homeowners and businesses alike. Salt Lake Window Tinting is acclaimed for providing innovative, affordable window film solutions for both residential and commercial applications. 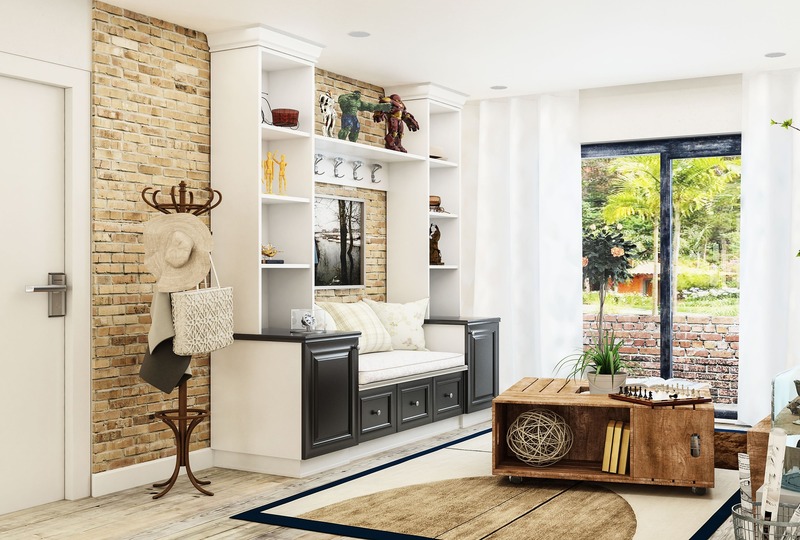 We’re proud to help our community transform dysfunctional, existing rooms into practical, comfortable spaces. Our award winning customer service sets us apart from other window film contractors. Experience the Scottish Difference and discover solutions with a great ROI. Start exploring window film options for your home or business today. Get in touch with a window tinting professional at our office to find out more about our products and installation services.